Health and Human Services Secretary Tom Price will not use private jets for government business while the practice is under investigation, he told Fox News on Saturday. Price defended the taxpayer-funded trips, saying they were subject to approval by the department's lawyers. "We've heard the criticism. We've heard the concerns, and we take that very seriously and have taken it to heart," Price said. Politico first reported Price's use of charter jets for official business earlier this week, and followed that article with a story Thursday that said the secretary has traveled on charter flights at least 24 times since May, citing people familiar with his travel plans and a review of HHS documents. Charter plane operators estimated 24 flights would have cost $300,000, Politico reported. Commercial trips would have cost thousands of dollars less. Price said Saturday that in the Trump administration's first eight months, he used private jets for only 11 trips . Most of the trips were related to the national opioid crises or hurricane relief, he said. The Health and Human Services inspector general is looking into the matter to see whether the means of travel was appropriate. "I don't think there would be any charter trips until this review is complete," Price said. The secretary said his office also is conducting an internal review, and if changes are needed, he will make them. "We want to make certain that the processes and procedures that are in place have the full confidence of the American people, so that the trust is not just restored but is ensured," he said. 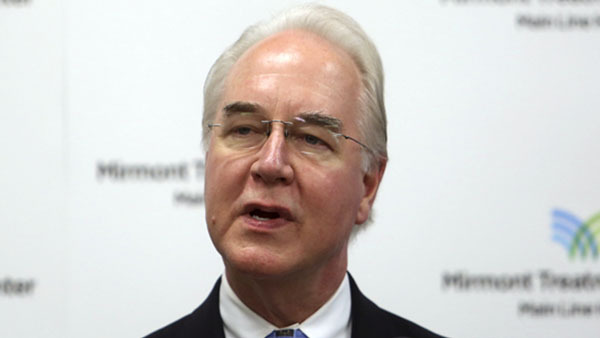 Price's travel breaks with the precedent set by former President Barack Obama's HHS secretaries Sylvia Mathews Burwell and Kathleen Sebelius, who flew commercially when flying within the US. Price is a frequent critic of government spending. He told CNN in April that he wants to cut redundancy and waste in his agency. "For us to say, 'OK, let's just throw more money at that system, let's see if more money helps that out,' is the wrong way," Price told CNN's Sanjay Gupta. In 2009, Price railed against congressional expenditures in the hundreds of millions of dollars for several private planes that would ferry members of Congress. He was asked by Fox News about his 2010 criticism of reported trips taken by then-House Speaker Nancy Pelosi. "I think the issue with the former speaker was a different matter," he replied. "But, be that as it may, listen, we've heard this criticism (of his trips), and we're very serious about addressing it."